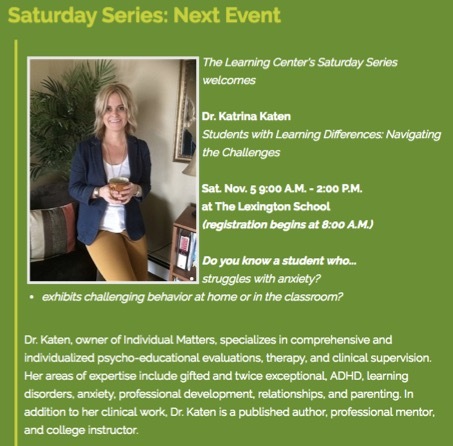 We are very excited by the upcoming “Saturday Series” at The Lexington School: November 5, 2016. Collaborate with other parents and professionals. The Lexington School will award attendees with certificates for Continuing Education/Professional Development Credits.